Make Avocado Bruschettas. Toasts With Vegetables And Guacamole On Blue Background Top View. Royalty-Vrije Foto, Plaatjes, Beelden En Stock Fotografie. Image 116150952. Stockfoto - Make avocado bruschettas. Toasts with vegetables and guacamole on blue background top view. Make avocado bruschettas. 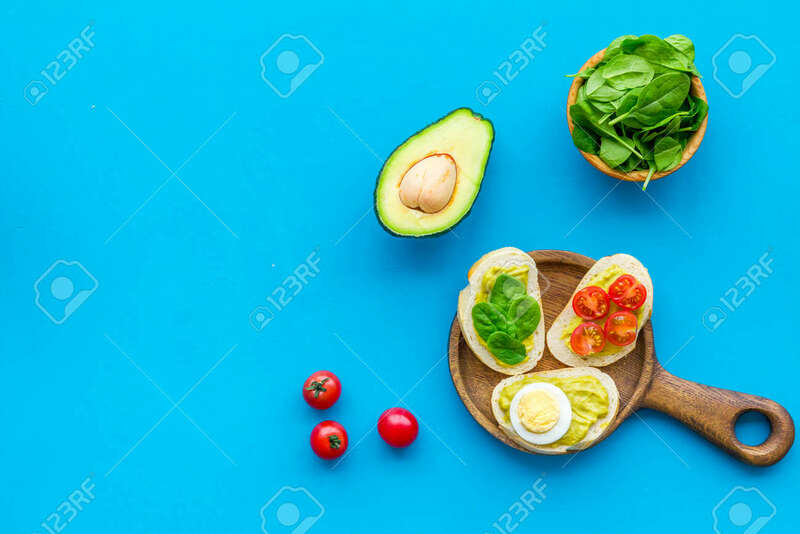 Toasts with vegetables and guacamole on blue background top view.